Land is an integral part of Zambian identity, heritage, and rural livelihoods—its importance is summed up by the common expression “land is life”. 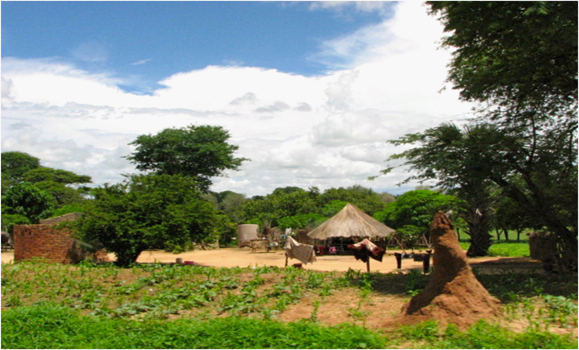 Zambia’s dual land tenure system, that of statutory and customary land is at a critical juncture as greater tenure security is increasingly sought through the process of land titling by leasehold tenure, indicating a departure from customary tenure in which chiefs are the land administrators and hold customary land in trust for their subjects. My research primarily analyzes the roles of and relationships among the state, chiefs, and local landholders in customary decision-making processes with regard to land administration. Further, it describes what factors contribute to making customary land insecure and what challenges the trend towards leasehold tenure poses to the continuation of customary land administration and the preservation of customary authority more broadly. Findings indicate an urgent need to formalize customary land administration to improve tenure security, transparency and accountability. For this project I was in Zambia from October to December 2012. During that time I conducted approximately 40 semi-structured interviews with government officials, professionals working on land issues in the NGO sector, academics, chiefs, headman, and farmers in Zambia. I was primarily stationed in the capital city of Lusaka but had opportunity to travel to three rural locations in two provinces. To sit with and learn from individuals—varying from high-ranking state officials, to customary leaders, to medium/small-scale farmers—was the opportunity of a lifetime. It was also a humbling experience, as I was continually challenged, academically and personally, to stretch the boundaries of my comfort zone and confront my assumptions. Two moments stand out in my mind as having particular significance: one, spending an afternoon in a village conducting a farmer focus group sitting on bricks under a tree and drinking warm Fantas as goats, cows and chickens wandered by—it was a beautiful day; the second, was sitting in the home of a prominent chief, sharing tea and scones, when he selected and read a passage from Robin Short’s book, “African Sunset” (1973)—a wise leader indeed! The experience of doing field research is one that will I will continue to learn from long after I’ve defended my thesis.